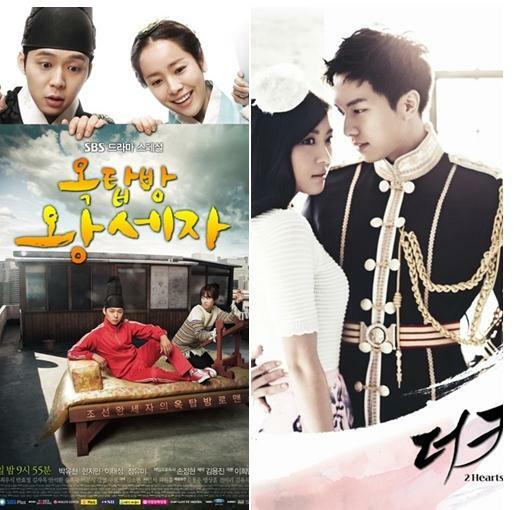 On the evening of April 5, 2012, the ratings of SBS drama Rooftop Prince starring JYJ member Micky Yoochun overtakes MBC drama The King 2 Hearts starring Lee Seung Gi for the first time, winning the first ever ratings champion since the drama premiered. According to the statistics from AGB Nielson ratings research company, the rating of Rooftop Prince episode 6 aired on the evening of April 5th, 2012 increased by 1.3%, setting a new high rating of 12.5%, defeating The King 2 Hearts for the first time since debut to crown the ratings champion among all dramas broadcast at the same time. The ratings of The King 2 Hearts have shown a downward trend after the premiere. The rating of the 6th episode of drama aired on the evening of April 5th, 2012 decreased by another 1.4%, ranked second on the ratings chart with 12.1% rating. KBS2TV’s Man From the Equator which broke through the double-digit ratings on the evening of April 4th, 2012 for the first continues to retain double-digit ratings, ranked last with the rating of 10.2%.